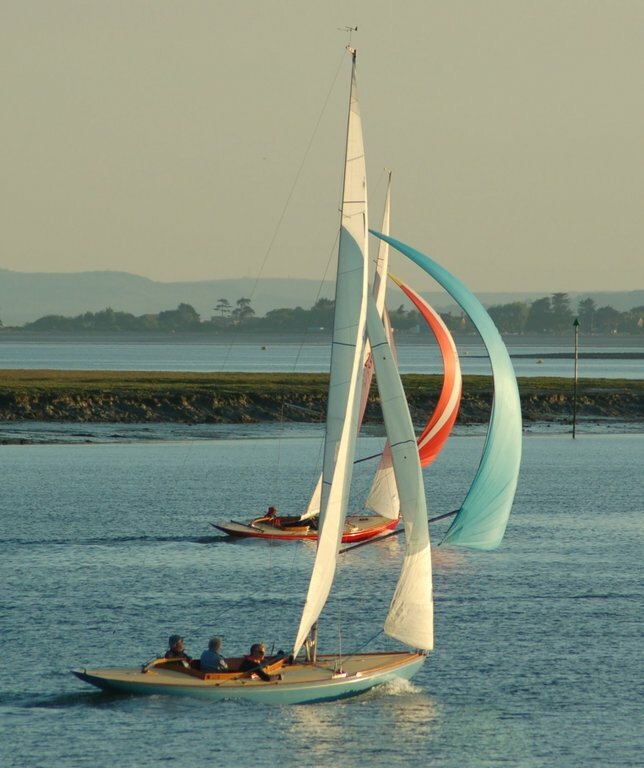 Solent Sunbeams have an informal race most Thursday evenings from the beginning of May to the end of September from Itchenor Sailing Club. This is not a series of races but individual races. The races are run by class members in turn, using an open launch as a committee boat. The winner receives a bottle of wine presented by the organiser for that evening at a convivial supper at Itchenor Sailing Club. Guests are regularly invited to enjoy the delights of Thursday evening racing, often experiencing our peaceful and beautiful harbour in the setting sun. Here are the Thursday evening PRO notes.